Vertebrate bonebeds are fascinating places to explore and one particular dinosaur dominated fossil site is under scrutiny as the Canadian Journal of Earth Sciences produces a special edition all about the Danek Edmontosaurus bonebed. The exact location of this highly fossiliferous site is kept under wraps, for fear of vandalism and theft but this extensive jumble of prehistoric animal remains is providing palaeontologists with a tremendous insight into dinosaur behaviour, ontogeny and anatomy. The site, part of the urban area of Edmonton, is called the Danek Edmontosaurus bonebed, as it was discovered by amateur fossil collector Danek Mozdzenski (March 31st 1989) and the vast majority of the fossil material has been attributed to the species Edmontosaurus regalis. Bonebeds are known from a number of locations within the Province of Alberta, ironically during the early years of dinosaur fossil collecting in this part of Canada, many of them were ignored by palaeontologists as they strove to find, identify and extract much more complete articulated specimens for study and for museum collections. Initial excavations at the site by the Royal Tyrrell Museum from 1989 to 1991 led to the collection of eighty specimens, including one partially articulated skeleton. The site was reopened by the University of Alberta Laboratory for Vertebrate Palaeontology back in 2006, so far another eight hundred fossils have been catalogued. The site, which dates from the end of the Cretaceous is stratigraphically contentious, its age has been debated (Campanian to Maastrichtian faunal stages). Radiometric dating of microscopic zircons deposited, most likely as a result of volcanic activity and found just below the main bone bearing layer indicate the site may represent a sequence in geological time perhaps as long as 100,000 years. Large groups of dinosaurs may have migrated along a huge river valley. 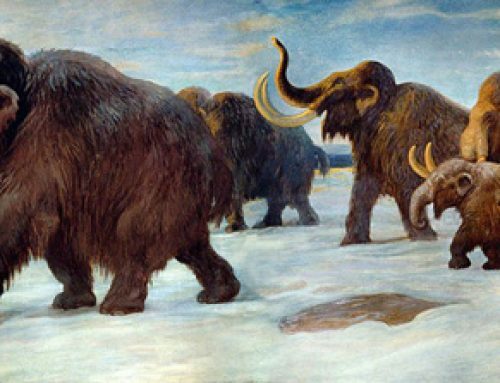 From time to time, catastrophic events would overtake the dinosaurs leading to mass mortalities. Amongst the Edmontosaurus bones, scientists have found evidence of horned dinosaurs, Ornithomimids, evidence of tyrannosaurids (Albertosaurus) as well as smaller predators such as Troodon and Sauronitholestes. 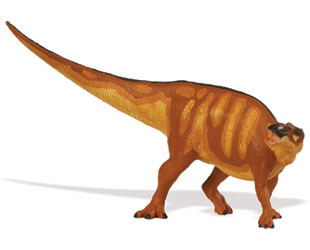 Edmontosaurus a member of the Hadrosaurine group of duck-billed dinosaurs. The Danek Edmontosaurus bonebed provides an excellent location for palaeontology students to practice their field craft skills. Due to the amount of fossil material preserved, the exceptional state of preservation and the volume of associated material the Danek Edmontosaurus bonebed lends itself to a wide range of research projects. The site is ideal for field work. In addition to the extensive dinosaur remains found, the sediments that make up the bonebed are rich in organic matter. This organic matter can be studied to help reconstruct the palaeoenvironment of this part of Canada during the Late Cretaceous. Pieces of amber (fossilised tree resin) found at the site indicate that the river valley area was surrounded by extensive conifer forests – rich feeding grounds for the highly efficient feeders – the Edmontosaurs. The site will continue to play an important role in helping to teach and train the next generation of palaeontologists and field technicians.